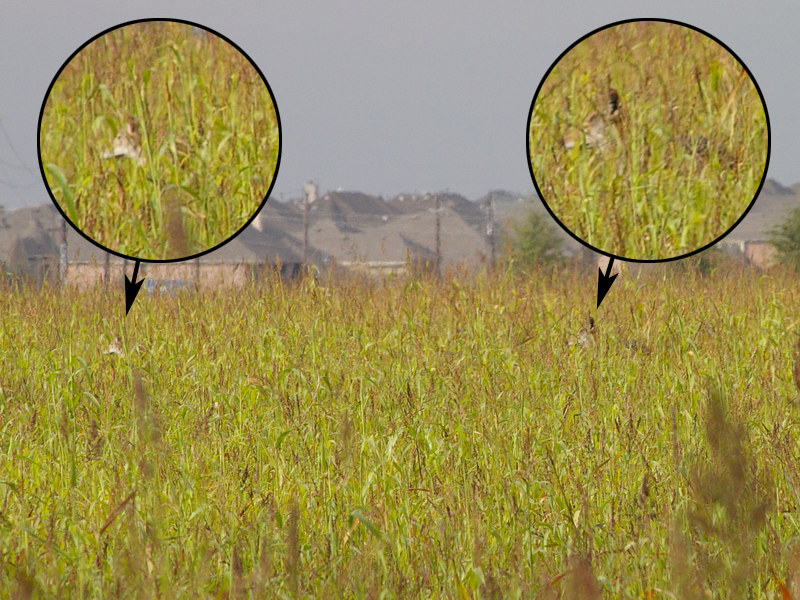 This observation records a rare daytime sighting of urban Coyotes. 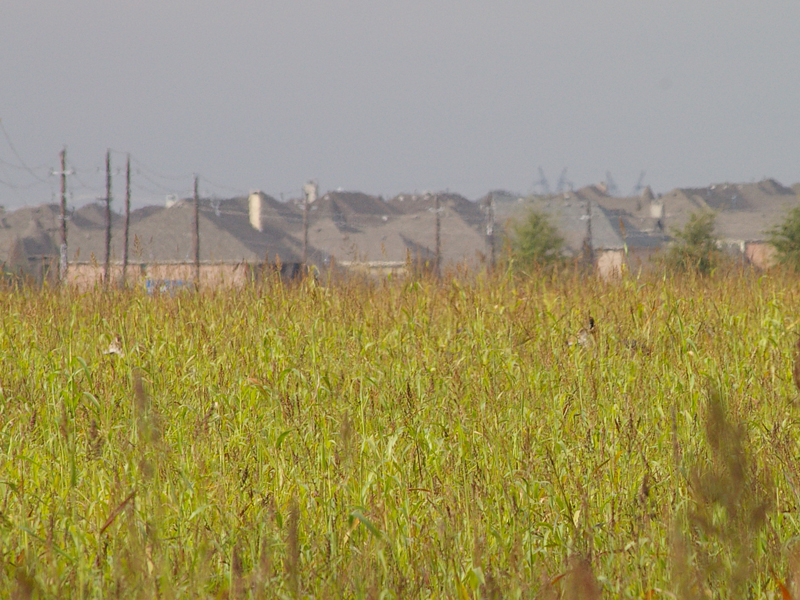 This pair of Coyotes lives in the fields behind the Baylor Medical Center in Carrollton, Texas. These fields are use for agriculture, and by the middle of November the vegetation in these fields can be very high. On this day, we had stopped our vehicle by the side of the road to observe a pair of American Kestrels that frequent this area. While watching the kestrels, I detected an unusual movement out of the corner of my eye. I turned my head for a better look, and quickly saw a patch of gray fur moving through the tall grass just a few yards/meters from the road. At first it was difficult to discern what type of animal I was seeing. My first thought was that it was a Bobcat. But, by the time I spotted the second animal it was clear that they were Coyotes. 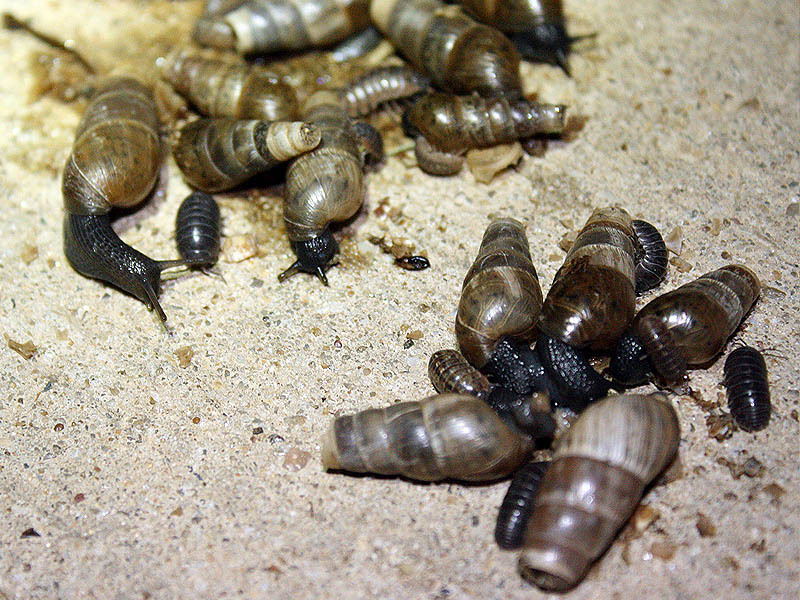 They moved away from us slowly, but deliberately. They clearly believed discretion was the better part of valor, but I don’t think they were frightened. My impression is that they were bedded down in the tall grass, and we had (inadvertently) parked just a little to close for comfort, as far as they were concerned. Their camouflage is remarkable effective, and they quickly disappeared from view. Later, we scouted the general vicinity and found an abundance of Coyote sign. Much of what we found is documented in the photographs below. 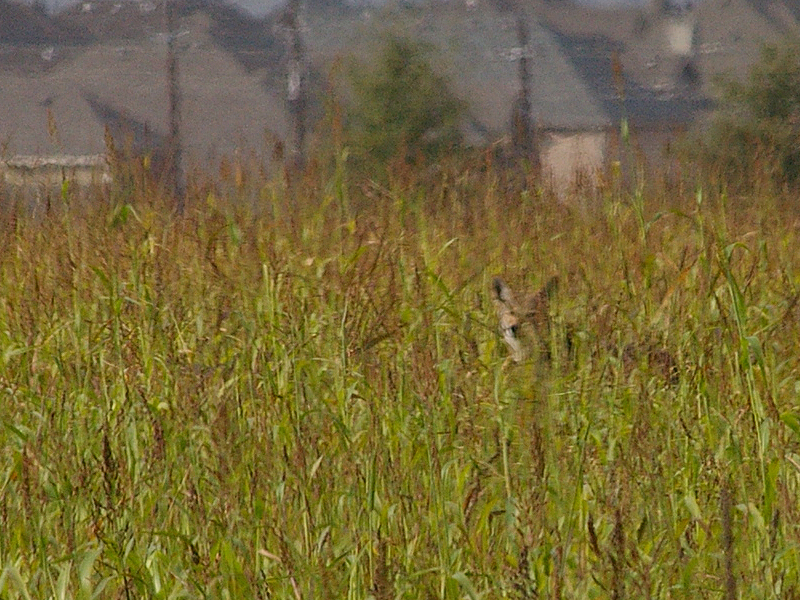 There are two Coyotes in this picture. Can you see them? The Coyotes were clearly aware of our presence. 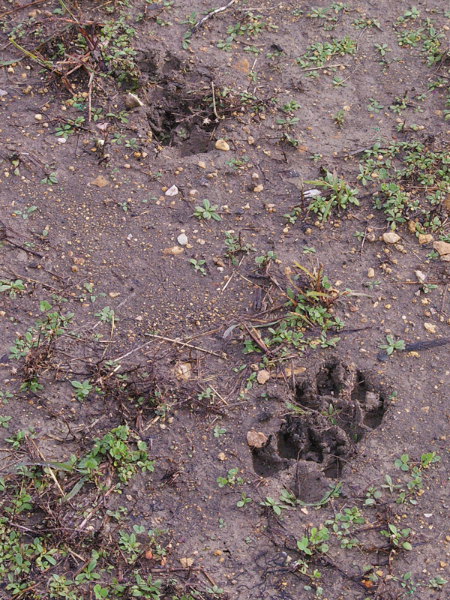 Coyotes tracks in the fresh mud. More mud. 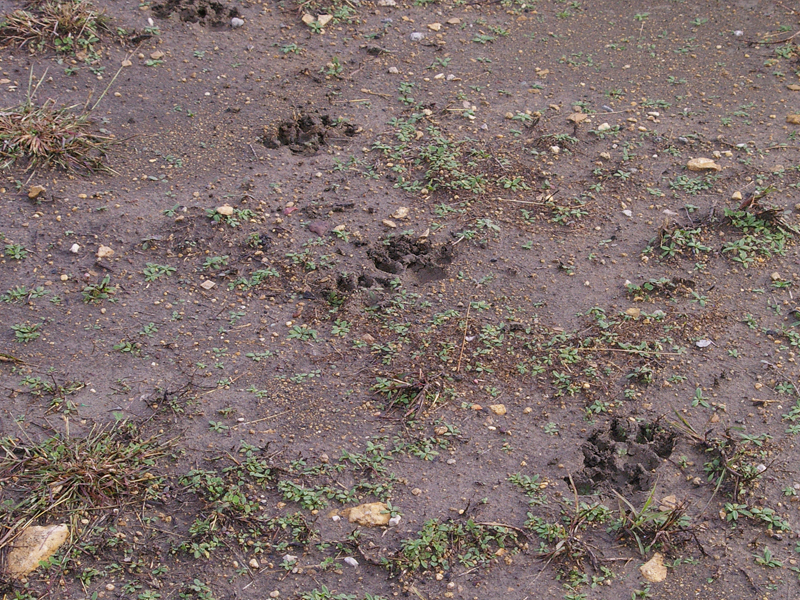 More Coyote tracks. 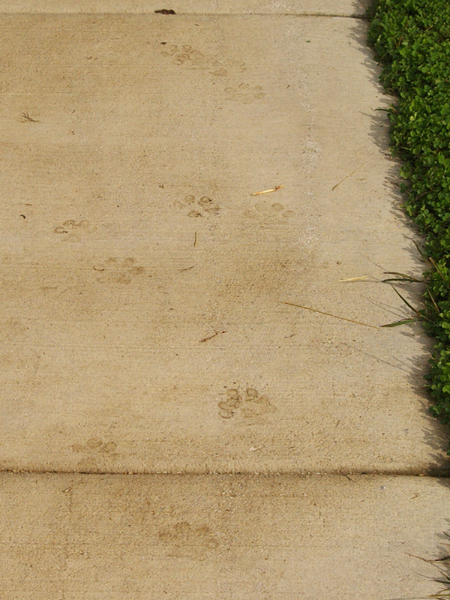 Coyote paw prints on a sidewalk.